With as many as three of the last four overseas Contractors’ Questions directly asking about France, it seems Brexit is not taking the gloss off working across the Channel. Either that, or contractors want to get in ‘maintenant’ -- before the EU exit completes in 2019. As long as such Britons go before then, they are four options when it comes to contracting for French outfits in their country, writes Kevin Austin, managing director of Access Financial. It needs to be said that there is no ‘best’ method so long as the route chosen is lawful in France. It also needs to be lawful back home or you may invite trouble when you return. 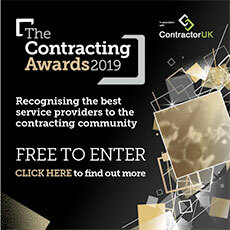 There are ‘pros’ and ‘cons’ to any of the methods you choose and here, exclusively for ContractorUK, I will navigate you through the possibilities and whether you’re eligible. Then you can make a reasoned, informed choice as to which method fits your circumstances best. Should you need a work permit to work in France as a non-EU national, then you must have a French employer to sponsor your work visa. In this case the only option open to you is to be employed by this employer as your permit will be tied to the sponsoring company. However, this needs to be funded in some way and the levels of social security that you will bear as a contractor, because you will suffer the employer and employee social costs as well as income taxes, are very high and will make it very unlikely that you will net more than about 48% on a daily rate of, say, Euros 500 per day (12-month contract). Some people will think this is worth it but others may not, particularly non-French contractors who are planning to spend only limited time in France when access to pensions, unemployment benefit and health care are of little or no interest. In the event that you do not need a work permit, it means you are an EU national and let’s say you want to make private arrangements for when you may be out of work, including your health care and your income in retirement. So being self-employed may make sense for you. To be eligible, you need to be clear that you are not in an employment or subordinate relationship with your client. If you are, then arguing with the tax authorities that you are not employed may well be a struggle. It means you and your client may face deemed employment, with the authorities looking for employer social security contributions. Should you have a current employer and that employer wishes you to work in France for a period of up to 24 months then ‘posting’ is an option. When posting, you remain the employee of your employer throughout the period and you can use the Double Tax Agreement (DTA) and Social Security Treaties between your home country and France. In some instances, you may also be able to use the social security treaty between France and where your employer is based, if different. What is interesting is that the DTAs set out where you are to be taxed. If your stay in France is to be for a period of less than 183 days in a tax or calendar year, then the income tax that you will be liable to pay will be that in your home country where you are normally tax resident. On the other hand, if your stay exceeds this duration then you will suffer French taxes from the start of the assignment. Of equal or perhaps greater interest is that you may opt to pay your social charges back home. To do this your employer can apply for a Social Security Certificate A1 which then exempts you from social security contributions in France. Generally, an A1 is issued for 12 months and may be extended for a period not exceeding 24 months. EU law does not permit discrimination against a company from another Member State. This fundamental right means that you may, if you wish use your own limited company that is not French (although it may be French), to work through while you contract in France. This right comes with obligations to respect the laws in France relating to social security, employment law, income tax, VAT and corporation tax, as well as the company and personal registrations that are required in France when one lives or works there. If all the laws are respected and you have a sensible local salary that you can justify to the tax authorities as being reasonable in your circumstances for the kind of work that you undertake, you should be fine. Otherwise they will consider your PSC usage as very aggressive tax avoidance. For stays below 183 days in a tax/calendar year, taxes in home country under the DTA. Otherwise taxed are paid in France from Day 1. French taxes from Day 1. French self-employed social security of 38% unless you hold a self-employed A1/Certificate of coverage under a social security treaty. Social security will be paid in France UNLESS an A1 is held. The A1 may be from where you are normally resident or where your employer is based. Contract value less employer and employee social charges. Contract value less expenses and self-employed social charges. Local salary (employer and employee charges are tax deductible). Unemployment benefits, health insurance and pensions, depending on period of stay. Limited. Need to make private provision (e.g. insurance in case of unemployment, private savings). An A1 entitles to reciprocal rights within the EU. Some contractors have traditionally believed that you can simply use your own UK or other limited company when working in France without doing anything else to make sure that you comply with French legislation. In short, you cannot. The four options listed above -- employment, self-employment, posting and using your own PSC -- are the only logical choices. In the case of employment, you will need either to be employed by your end client, which is most unusual in France because of the complex employment legislation, or you will need to find a competent umbrella company. Therefore, should you want to be employed in France you will need to find an employer, such as a local umbrella company (‘portage salarial’). An umbrella company may be a local French company or a company that is registered as a foreign employer. The effect is the same. You can find portage companies in France through a Google search or look for members of FEPS, one of the unions for portage companies. But beware, the level of take-home pay is not as high as contractors always expect; for example, 65-70% retention is usually not achievable in our experience from being employed or self-employed. As far as we are aware, Access Financial via its French subsidiary, AFSS France Sàrl, is the only international contract management company that can offer all four options and will guide you as to which solution is most suitable for you. That’s if you’ve still got queries that this guide has not solved! So, there you have it -- four options for contracting in France -- at least with us until 2019. Contractors’ Questions: Can my ‘Ltd’ supply the client at home and abroad?